Canon’s first genuine wrapping cloth for EOS cameras and EF lenses. 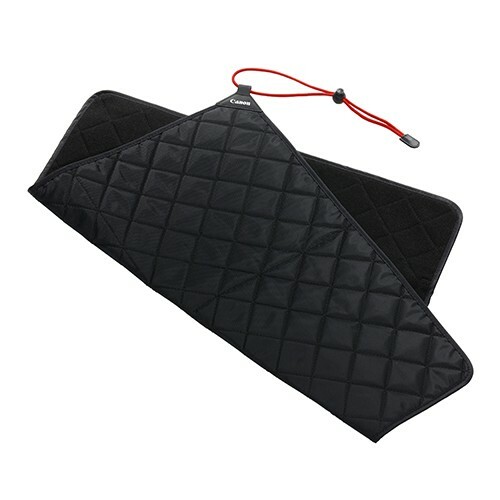 This protecting cloth is designed to allow easy storage and carrying of a camera or lens. With a dimension of approx. 500mm x 500mm and diagonal seams allow easy wrapping of the camera and/or lens. An elastic cord is provided to secure the wrap.